The "LA84 Foundation Youth Sports Survey" will help to increase participation and inclusion in youth sports across LA County. 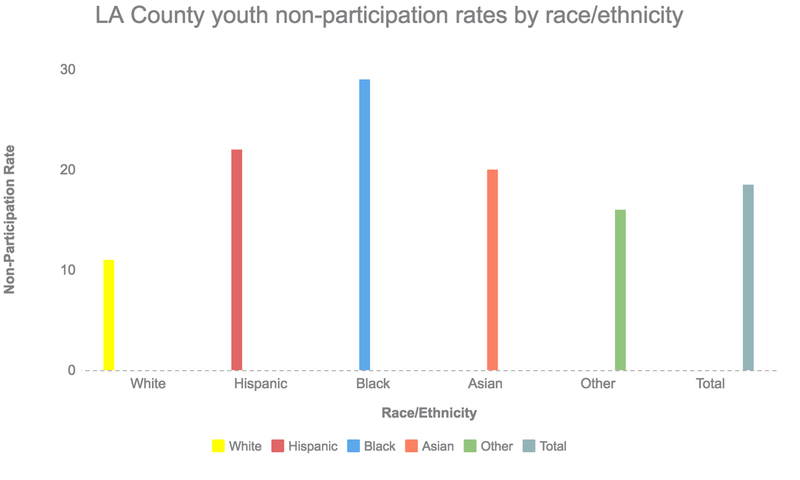 Inactive children in LA County by gender, race and ethnicity, region, and age. 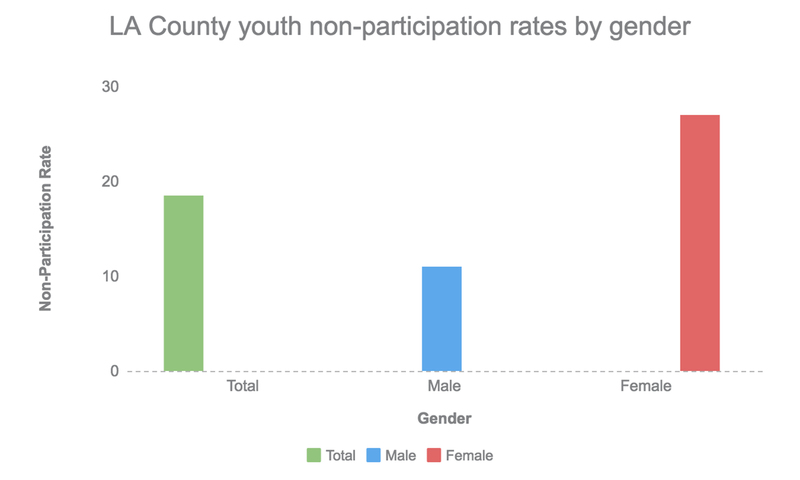 27 percent of girls were inactive in LA County compared to 11 percent of boys. More children of racial minority groups were inactive compared to white children. 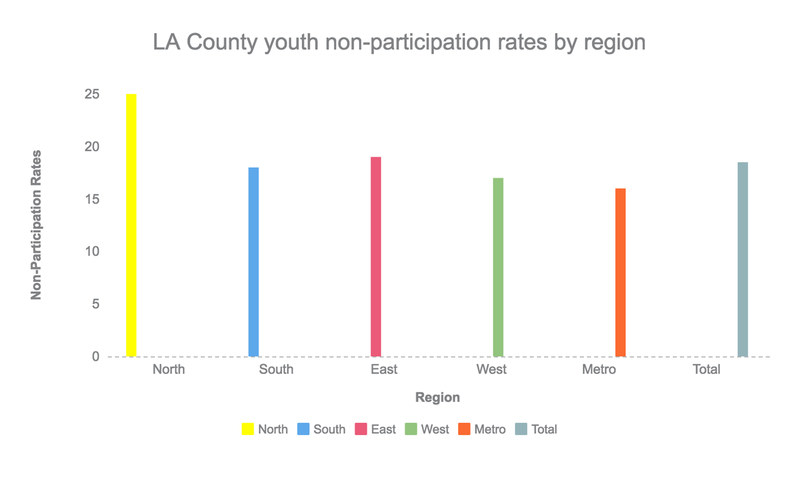 North LA has the highest youth sports non-participation rates, while the Metro area has the lowest non-participation rates. Children aged six to eight were the most inactive age group. 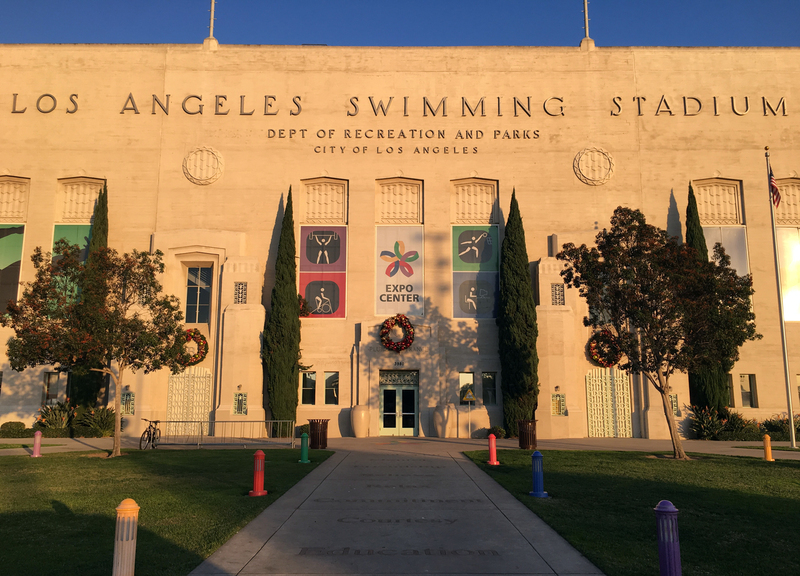 The EXPO Center, built for the 1932 LA Olympic Games, hosts a variety of youth sport programs, including Kids in Sports. Gender, household income and skateboarding highlight the "LA84 Foundation Youth Sports Survey"
In October, the LA84 Foundation released an unprecedented research survey on youth sports participation in Los Angeles County. 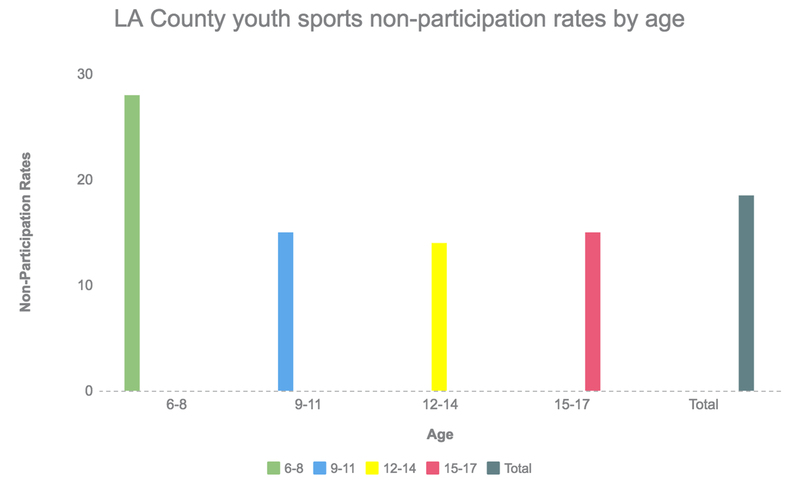 Despite ample research demonstrating the positive relationship between sports and youth development, the “LA84 Foundation Youth Sports Survey” found that 18.5 percent of children are inactive in the county. The LA84 Foundation, a legacy of the 1984 Olympic Games, is a non-profit organization supporting youth sport programs, education and development throughout Southern California. While based in Jefferson Park’s historic Britt House, the Foundation is a nationally recognized leader in promoting youth sports. For over 30 years, the Foundation has granted an excess of $225 million, impacting more than 2,200 non-profit organizations and 3 million children. The positive relationship between sports and youth development has been well documented, including demonstrated physical, social, emotional and academic benefits. For example, the California Dropout Research Project has proven a positive correlation between youth sports involvement and higher graduation rates. Using the findings of its survey, the Foundation aims to increase participation and inclusion in youth sports throughout Southern California. While a lack of interest explains why some children don't play sports, barriers to participation, such as money, resources and accessibility, inhibit many others who want to be active. The Foundation’s LA County survey confirmed national findings that children who come from lower-income households are less likely to participate in sports. According to the research, 22 percent of inactive children came from households making less than $50,000 per year, while only 4 percent of children were inactive from households making more than $100,000. Kids in Sports (KIS), an LA84 grantee, is one non-profit organization working to provide affordable youth sports opportunities in South LA. The organization offers leagues in soccer, basketball, football and volleyball for as low as $25. 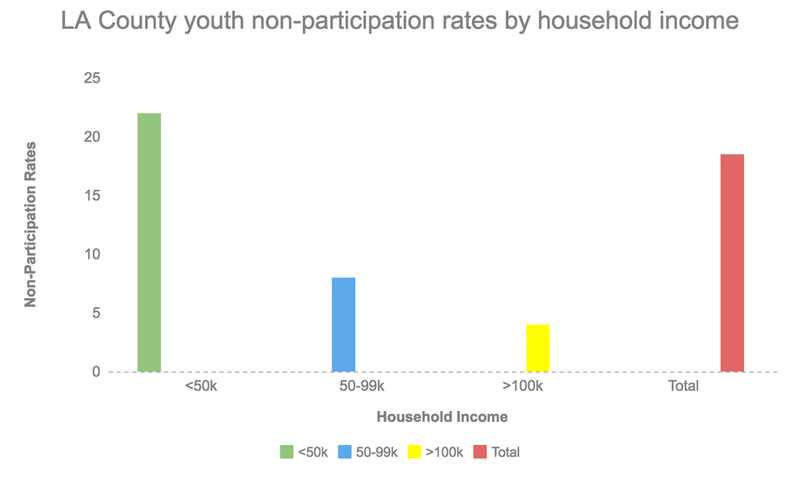 However, the program's cost is not a barrier to participation. 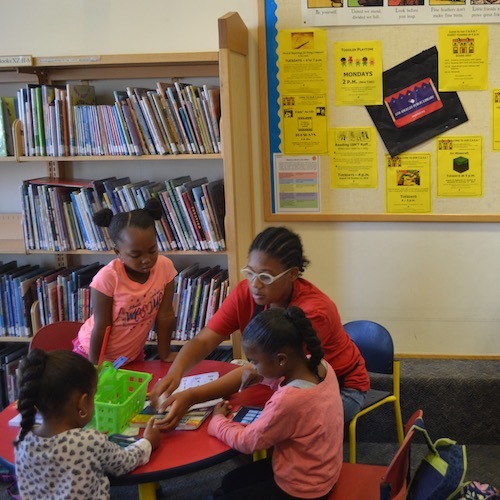 “If there is somebody who wants to play and can’t afford to do so, then [we allow] them to play,” said KIS Executive Director Monique Brandon. 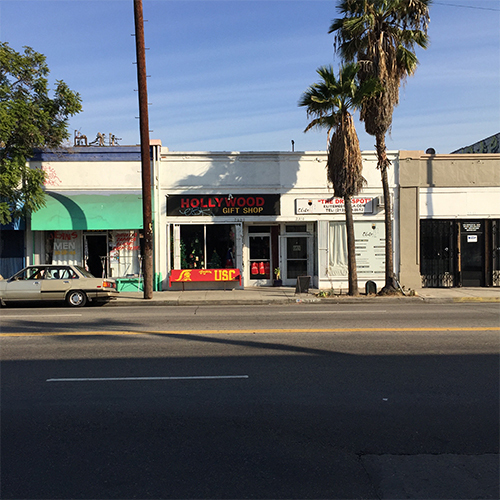 Additionally, Falcons Youth and Family Services (FYFS), a former-LA84 grantee, is another non-profit organization emphasizing affordability for its South LA tackle-football program. While some tackle-football programs in LA can cost as much as $350 to participate, FYFS’s cost is only $150, according to Keith Johnson, the organization’s executive director. Another major finding of the survey showed disproportionate gender non-participation rates. Compared to 11 percent of boys, 27 percent of girls were reportedly inactive. The Foundation will make an increased effort to address girls as an underrepresented group, according to Wilson. KIS’ "Girls In Recreation, Leadership & Sports" (G.I.R.L.S.) program is one example of the Foundation’s current effort to target young women athletes. In addition to studying the demographic makeup of youth sports participation, the Foundation’s survey also discovered LA County's most popular and most frequently played sports among active children. LA’s most popular sports were soccer, swimming and basketball, according to the survey. However, the sport played most frequently by active children in LA County was none of those- skateboarding. Hyman is referring to arguably the biggest barrier to youth sports in LA County: field space. For example, despite soccer being LA’s most popular sport, there are only four public soccer fields in the county per every 100,000 residents, according to the LA County Parks & Recreation Needs Assessment. LA County's lack of public park space serves as large barrier to youth sport participation. Limited public park space is also a problem in Jefferson Park. 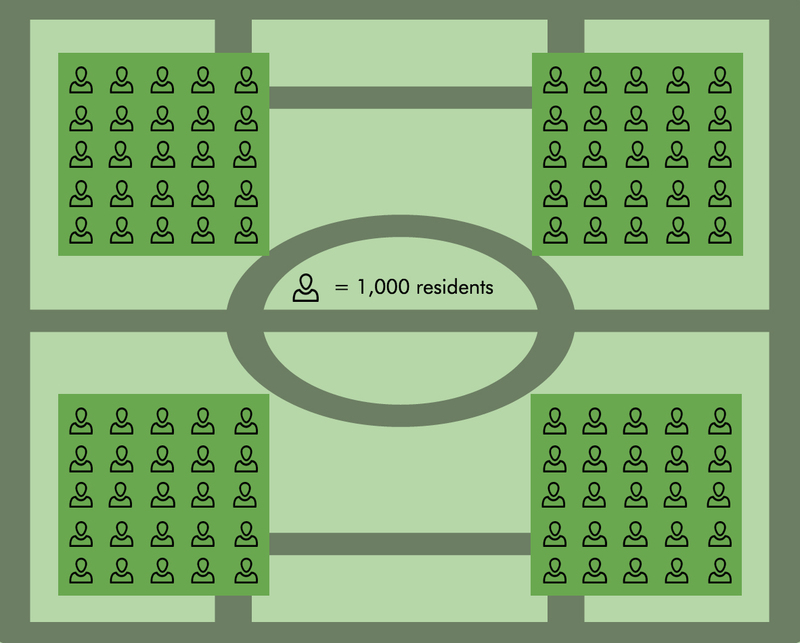 Per every 100,000 residents, LA County has only four public soccer fields. While field access is already scarce in LA County, safety concerns of gang and community violence make finding play space even more challenging. “There are certain people within the community who won’t go to a particular park because there is a gang associated with that park or around it,” Keith Johnson said. In response to safety concerns from parents, Johnson moved FYFS’s practice facilities from a public park to an LAUSD field a few years ago. Consequently, Johnson was forced to pay nearly $3,000 more per season just for practice space. 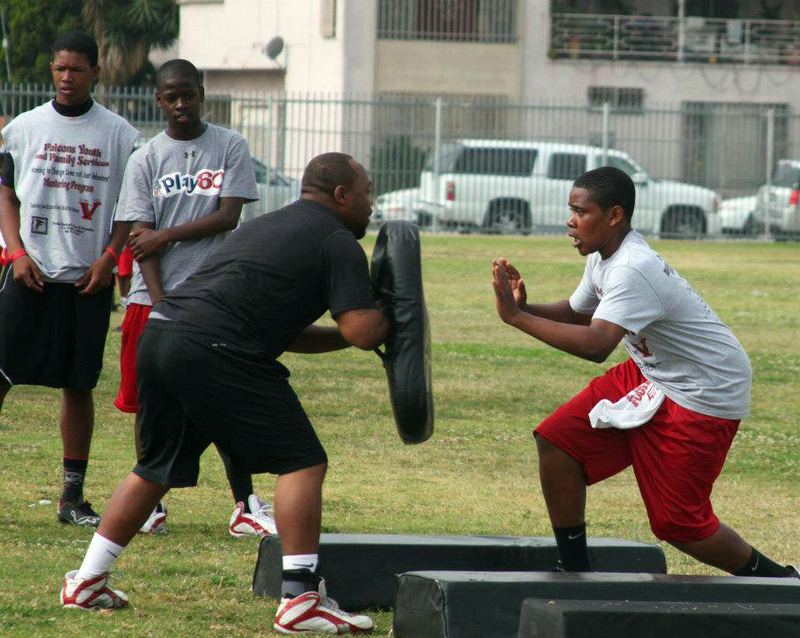 Coach Rogers of Falcons Youth and Family Services runs a blocking drill at a tackle-football practice. Now that the lack of public park space is known to be a problem, youth sports organizations will have to find a solution. Small businesses in Jefferson Park provide essential services for the community. Their presence is rooted in maintaining residents' culture and identity. Hear from educators of all backgrounds-- including private school, public school, and non-profit programs--share their experiences in the neighborhood. 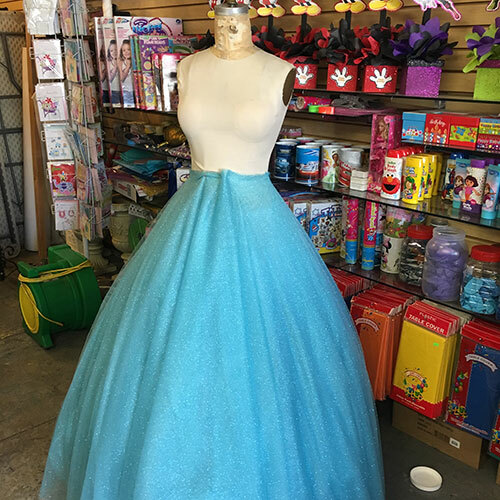 They own shops, restaurants and local businesses, but not many people know they’re Salvadoran. Here’s a look at the community that’s shaping Jefferson Park and the internal issues they face.